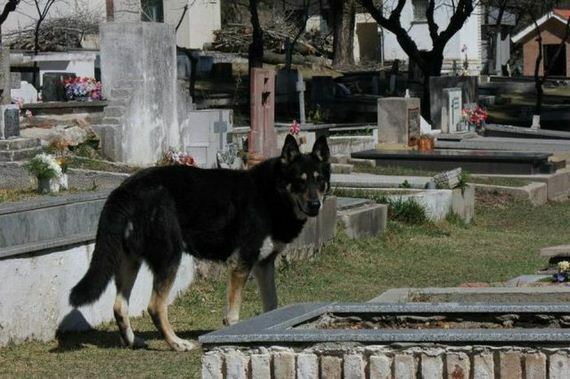 Miguel Guzman died in 2006. 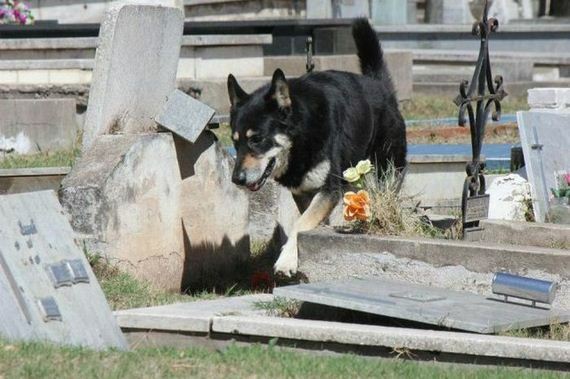 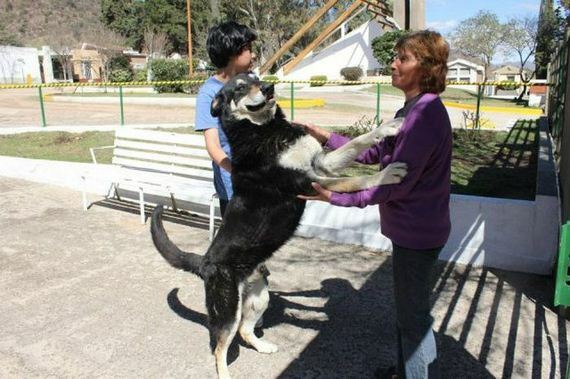 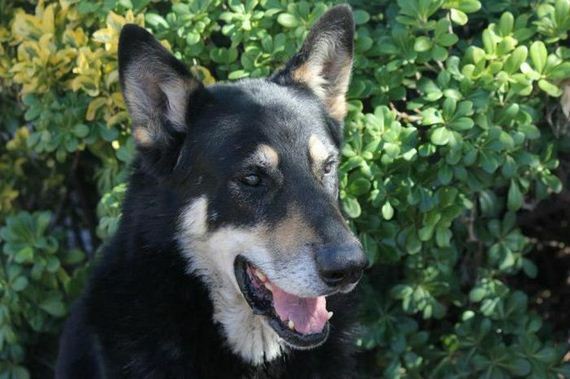 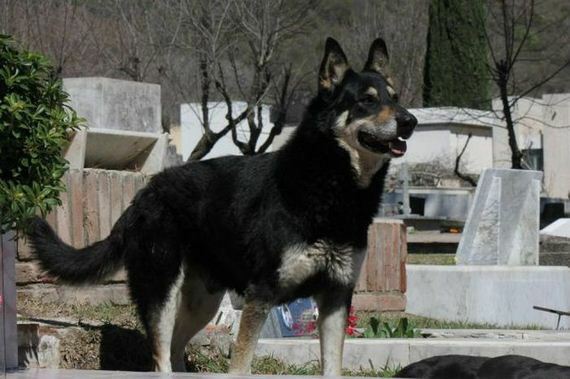 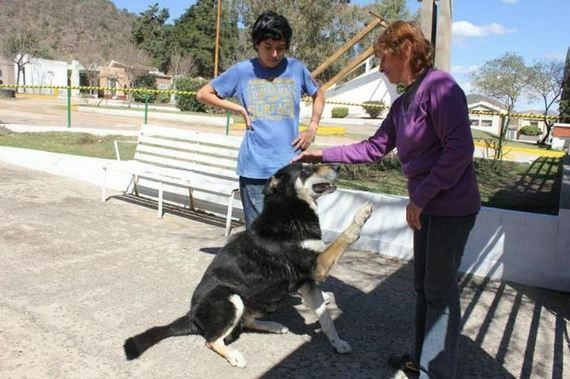 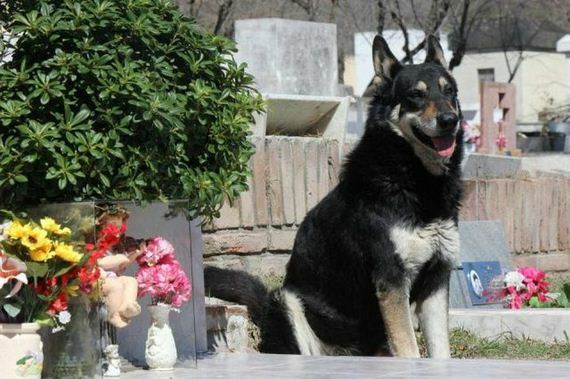 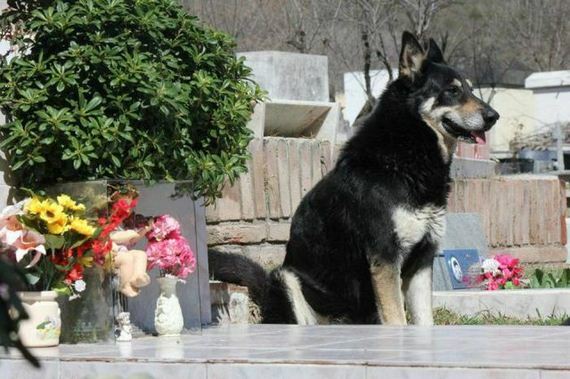 His German Shepard, named Captain, ran away from his home and lived since then at Miguel’s grave. 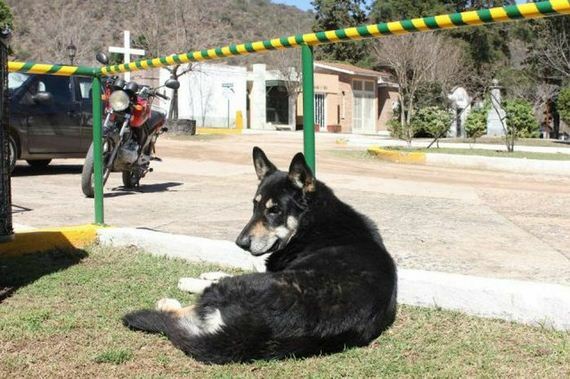 Captain refuses to come back home. 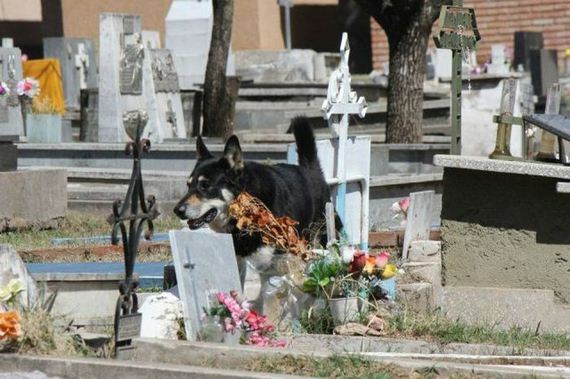 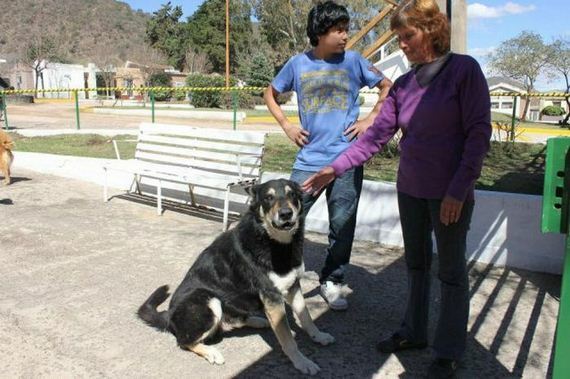 The cemetery staff has taken over feeding and caring for him while he looks over his master.